Answers Banks Europe. Facts History Ideas Million Money Questions Youtube How the EURO is made? How the EURO is made? According to European Central Bank estimates, in August 2016, there were approximately 19,417,000,000 banknotes in circulation around the Eurozone, worth approximately €1.1 trillion. 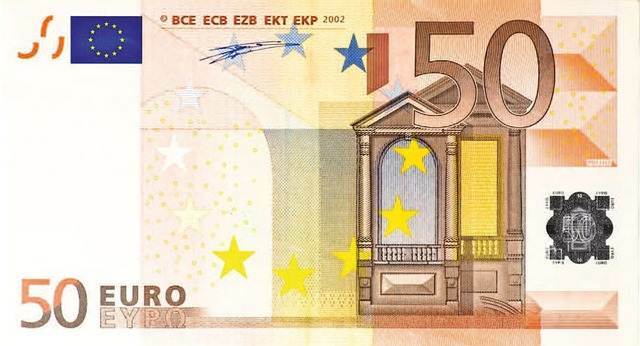 On 8 November 2012, the European Central Bank announced that the first series of notes would be replaced by the Europa series, starting with the 5 euro note on 2 May 2013. The euro came into existence on 1 January 1999. The euro's creation had been a goal of the European Union (EU) and its predecessors since the 1960s. The Maastricht Treaty entered into force in 1993 with the goal of creating economic and monetary union by 1999 for all EU states except the UK and Denmark (though Denmark has a fixed exchange rate policy with the euro). In 1999 the currency was born virtually, and in 2002 notes and coins began to circulate. It rapidly took over from the former national currencies and slowly expanded around the rest of the EU. In 2009 the Lisbon Treatyformalised the Euro's political authority, the Euro Group, alongside the European Central Bank. 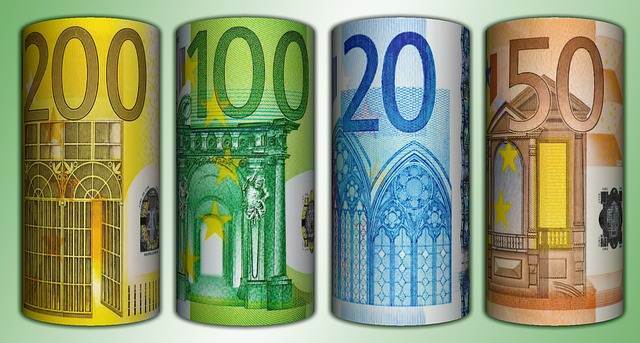 There are seven different denominations of the euro banknotes - €5, €10, €20, €50, €100, €200 and - €500 each having a distinctive colour and size. The designs for each of them have a common theme of European architecture in various artistic eras. The obverse of the banknote features windows or gateways while the reverse bears different types of bridges. The architectural examples are stylised illustrations, not representations of existing monuments. 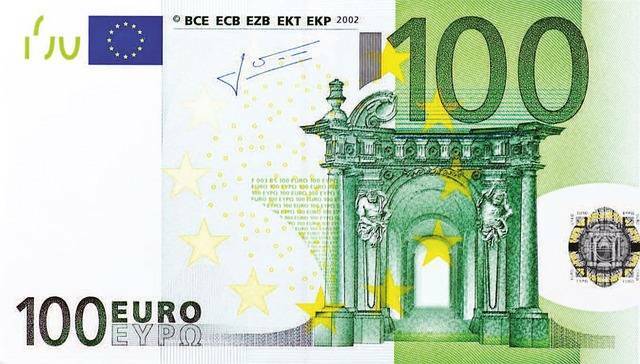 All the notes of the initial series of euro notes bear the EU Flag, a map of Europe on the reverse, the name "euro" in both Latin and Greek script (EURO / ΕΥΡΩ) and the signature of a president of the ECB, depending on when the banknote was printed. The 12 stars from the EU Flag are also incorporated into every note. The order is determined by the EU country listing order, with BCE ahead of ECB because of the national precedence of Belgium's two main languages, followed by the remaining languages of Germany (Deutschland), Greece (Ελλάδα/Elláda) and Finland (Suomi), in that order. The euro banknote initial designs were chosen from 44 proposals in a design competition, launched by the Council of the European Monetary Institute (EMI) on 12 February 1996. The winning entry, created by Robert Kalina from the Oesterreichische Nationalbank, was selected on 3 December 1996. The euro banknotes are pure cotton fibre, which improves their durability as well as giving the banknotes a distinctive feel. In the first series, the Azores, French Guiana, Guadeloupe, Madeira, Martinique, Réunion, and the Canary Islands, overseas territories of the eurozone member states, are under the map on the banknotes in separate boxes because they use the euro. Cyprus and Malta were not shown on the first series because they were not in the EU in 2002, when the banknotes were issued, even though they joined the Eurozone in 2008 and because the map did not stretch that far east for Cyprus and Malta was too small to be depicted, the minimum size for depiction being 400 km2. However, both Cyprus and Malta are depicted on the 2013 series note. The Europa series banknotes, similarly to the first series, bear the EU Flag, a map of Europe on the reverse and the signature of Mario Draghi, current president of the ECB and the 12 stars from the EU Flagare also incorporated into the note. 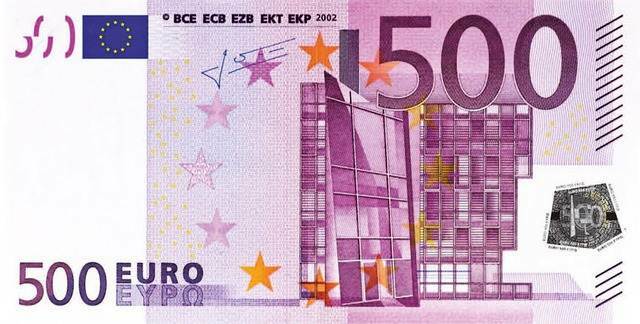 On May 4, 2016, the European Central Bank decided not to issue a 500 euro banknote for the Europa series. The banknote also has the name "euro", but in three scripts, in Latin, Greek and Cyrillic script (EURO / ΕΥΡΩ / ЕВРО). The 5 euro, 10 euro and 20 euro notes do not feature ESB, as Croatian became an official language only in July 2013 with the accession of Croatia, after introducing the banknote design earlier that year. The order is determined by the same principles, with the language of Bulgaria (България/Bulgaria) preceding that of Germany (Deutschland), EKP now preceding ΕΚΤ due to the accession of Estonia (Eesti), and the languages of Croatia (Hrvatska), Hungary (Magyarország), Malta and Poland (Polska) trailing the list. The notes of the Europa series do not show the same year. The year shown is the year the note is issued. The Europa series euro banknotes are supposedly more durable than the first series banknotes. Reinhold Gerstetter, an independent banknote designer, was chosen by the European Central Bank to redesign the euro notes. Due to the great number of historic bridges, arches, and gateways throughout the European continent, all the structures represented on the notes are entirely stylised illustrations of the relevant architectural styles, designed to evoke the landmarks within the European Union, representing various European ages and styles. For example, the 5 euro notehas a generic rendition of Classical architecture, the 10 euro note of Romanesque architecture, the 20 euro note of Gothic architecture, the 50 euro note of the Renaissance, the 100 euro note of Baroque and Rococo, the 200 euro note of Art Nouveau and the 500 euro note of modern architecture. The initial designs by Robert Kalina were of actual bridges, including the Rialto Bridge in Venice and the Pont de Neuilly in Paris, and were subsequently rendered more generic. In 2011, Dutch artist Robin Stam and the town of Spijkenisse in the Netherlands built seven bridges of colored concrete after the designs on the seven euro banknotes. The euro banknotes have to bear the signature of the president of the European Central Bank. In the first series, banknotes printed after March 2012 bear the signature of the third, and incumbent ECB President, Mario Draghi. Notes printed between November 2003 and March 2012 show the signature of Jean Claude Trichet, the second President of the ECB, replacing that of the first president, Wim Duisenberg, who was the ECB president when the first euro banknotes and coins were issued, till 2003. Only the signature of the third, incumbent ECB President, Mario Draghi features on the Europa series note. On 4 May 2016, it was announced by the European Central Bank that 500 euro banknote from the Europa series will not be released amid fears of "facilitating the criminal activity". All the denominations of banknotes (except for €500) of Europa series should start to be released by the end of 2018, the date when further issue of all of the first series banknotes will cease. The full design of the Europa series 50 euro banknote was revealed on 5 July 2016 and the new 50 note was released on 4 April 2017. The new banknotes of the Europa series 100 euro banknote and 200 euro banknote will be issued at the beginning of 2019. · Watermark: When the note is held under a normal light source, a portrait of Europa and an electrotype denomination appear on either side. · Portrait hologram: When the note is tilted, the silver-coloured holographic stripe reveals the portrait of Europa – the same one as in the watermark. The stripe also reveals a window and the value of the banknote. · Colour changing ink: When the note is tilted, the number on the note displays an effect of light that moves up and down. The number also changes colour from emerald green to deep blue. · Raised printing: On the front of the note, there is a series of short raised lines on the left and right edges. The main edge, the lettering and the large value numeral also feel thicker. · Security thread: When the note is held against the light, the security thread appears as a dark line. The Euro symbol (€) and the value of the banknote can be seen in tiny white lettering in the thread. · Microprinting: Tiny letters which can be read with a magnifying glass. The letters should be sharp, not blurred. · Ultraviolet ink: Some parts of the banknote shine when under UV or UV-C light. These are the stars in the flag, the small circles, the large stars and several other areas on the front. On the back, a quarter of a circle in the centre as well as several other areas glow green. The horizontal serial number and a stripe appear in red. · Infrared light: Under infrared light, the emerald number, the right side of the main image and the silvery stripe are visible on the obverse of the banknote, while on the reverse, only the denomination and the horizontal serial number are visible. · Approximately 1,599,681,000 €5 notes in circulation around the Eurozone. That is approximately €7,998,405,200 worth of banknotes. · Approximately 2,047,418,500 €10 notes in circulation around the Eurozone. That is approximately €20,474,184,700 worth of banknotes. 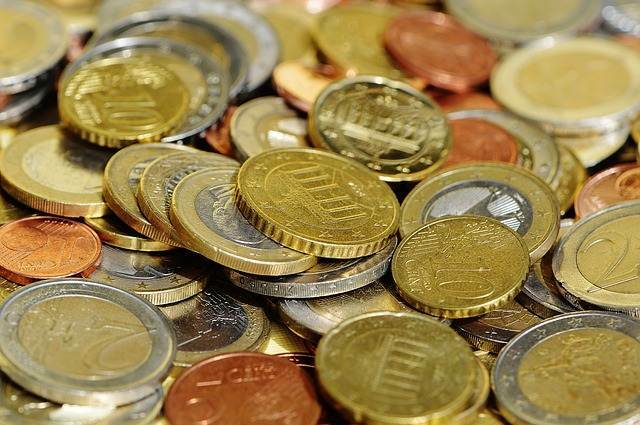 · Approximately 2,881,374,400 €20 notes in circulation around the Eurozone. That is approximately €57,627,487,300 worth of banknotes. · Approximately 6,461,256,100 €50 notes in circulation around the Eurozone. That makes it the most used banknote of the Eurozone. That is approximately €323,062,804,000 worth of banknotes. 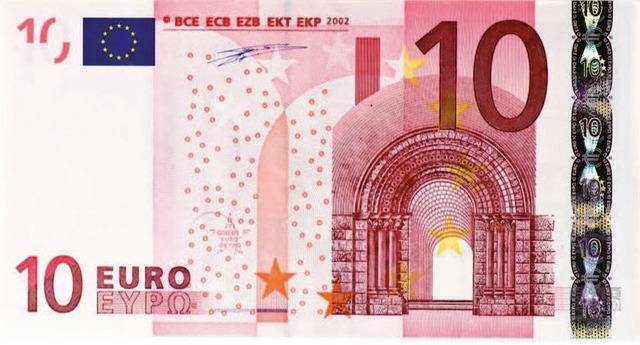 · Approximately 1,738,341,700 €100 notes in circulation around the Eurozone. That is approximately €173,834,174,200 worth of banknotes. · Approximately 188,575,200 €200 notes in circulation around the Eurozone. That makes it the least used banknote of the Eurozone. That is approximately €37,715,031,400 worth of banknotes. 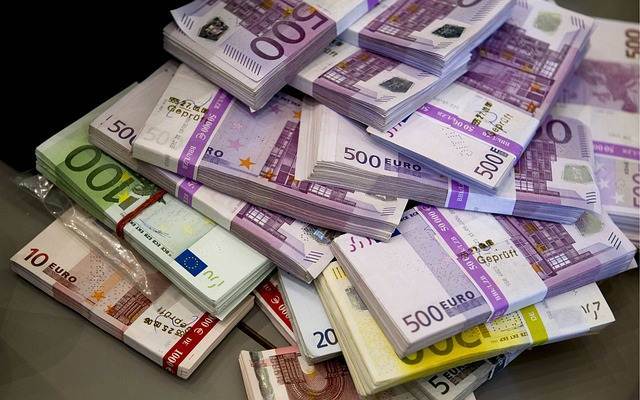 · Approximately 580,593,400 €500 notes in circulation around the Eurozone. That is approximately €290,296,675,500 worth of banknotes. The European Central Bank publishes information on the amount of counterfeit banknotes removed from circulation every 6 months. It reported that 531,000 banknotes were removed from circulation in all of 2012, compared to 606,000 in the previous year. The ECB also said that, when compared to the amount of genuine banknotes, the proportion of fake euro notes remains low. The amount of counterfeits taken out of circulation in 2012 is 3.18 times that of 2002 (167,118). 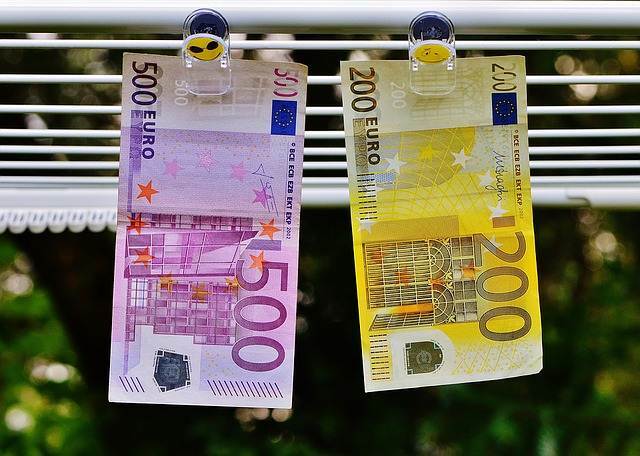 In July 2013, the European Central Bank said that it removed 317,000 counterfeit euro banknotes from circulation in the first half of 2013, which is an increase of 26.3% from the first half of 2012. However, the Bundesbank, in July 2013, stated that the amount of counterfeit euro notes fell by 13.6% in Germany in the first half of the year. On the other hand, De Nederlandsche Bank said it withdrew around 19,400 counterfeit banknotes in the same period, which is an increase of 49% in comparison to the first half of 2012. The Central Banks also stated that most were fake €20 and €50 notes. According to the central banks, the ratio of counterfeited bank notes is about 10 in one million of real bank notes for the Swiss franc, of 50 in one million for the Euro, of 100 in one million for United States dollarand of 300 in one million for Pound sterling. Legally, both the European Central Bank and the national central banks (NCBs) of the Eurozone countries have the right to issue the 7 different euro banknotes. In practice, only the NCBs of the zone physically issue and withdraw euro notes. The European Central Bank does not have a cash office and is not involved in any cash operations. However, the European Central Bank is responsible for overseeing the activities of national central banks in order to harmonise cash services in the Eurozone. 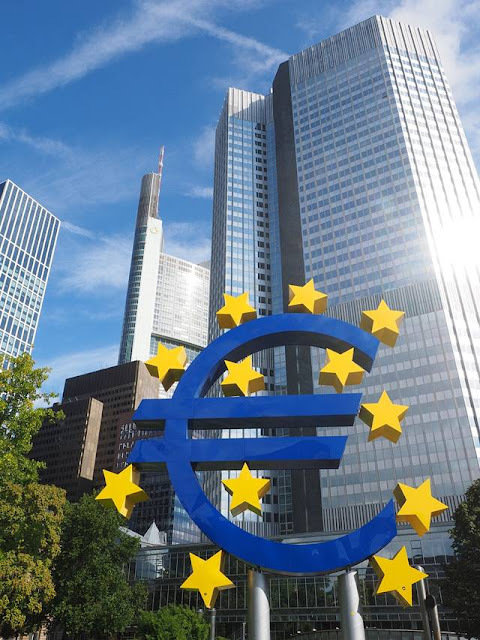 The ECB has the exclusive right to authorise the issue of notes within the Eurozone, but most notes are actually issued by the National Central Banks (NCBs) of the Eurozone. As of 2004, 8% of banknotes were issued by the European Central Bank and 92% were issued by Eurozone NCBs. The issuing central bank can be seen from the serial number. Each NCB is now responsible for the production of certain denominations, as assigned by the ECB. The European Central Bank publishes details about euro notes produced every year.